It truly is an honor to bring in our first footwear brand, and one of the most well-known high-end bootmakers out there – Viberg. 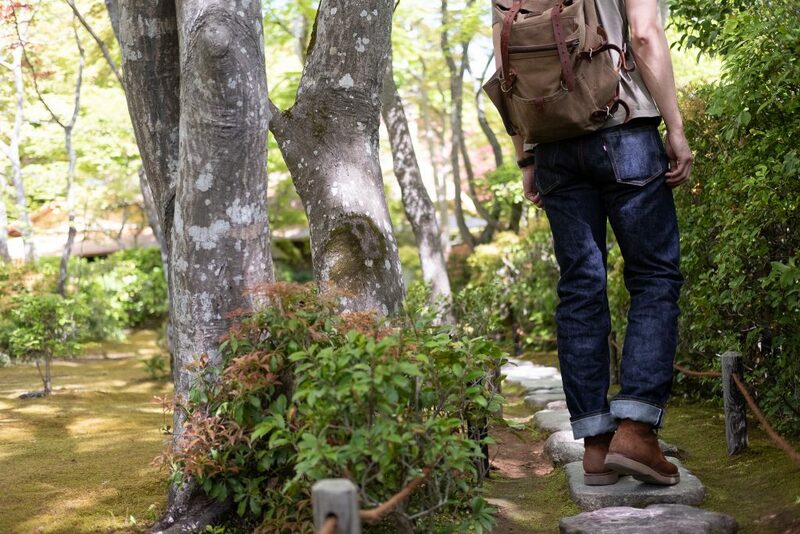 Since 1931, Viberg has been producing high-quality work boots for the everyday working man. Over time, they eventually introduced boots that were geared more towards the every day stylish man, rather than the utilitarian man that required certain details such as steel toes for practical reasons. However, when they moved into the fashion realm of footwear, they maintained the heritage look and aesthetic of their original model boots, which were designed after WWII era military boots. While much more can be said about the company, we’ll leave that for a future Brand Spotlight. For today, it’s all about our first make-up that we designed in concert with Viberg, as well as two good friends Nate (@cuffington) and Mike (@marvaments). To be honest, the Aged Bark Roughouts are one of those leathers that you will want, without ever seeing it in person. I was lucky in that Nate and Mike both thought the Aged Bark Roughout was the perfect leather to have as our first boot from Viberg. Personally, I’ve always wanted a pair in this leather, and finally getting a pair in hand and on my feet, the wait was well worth it. We started off by selecting the ever-popular Service Boot as the style, which was a no-brainer. It’s a solid all-around style that doesn’t take much thought to work into your wardrobe. However, the selection of the leather was one of the most important choices we made. We wanted a leather that you could wear daily, beat up, run around in, and really just trash (in a good way). The Aged Bark Roughout fit that bill. 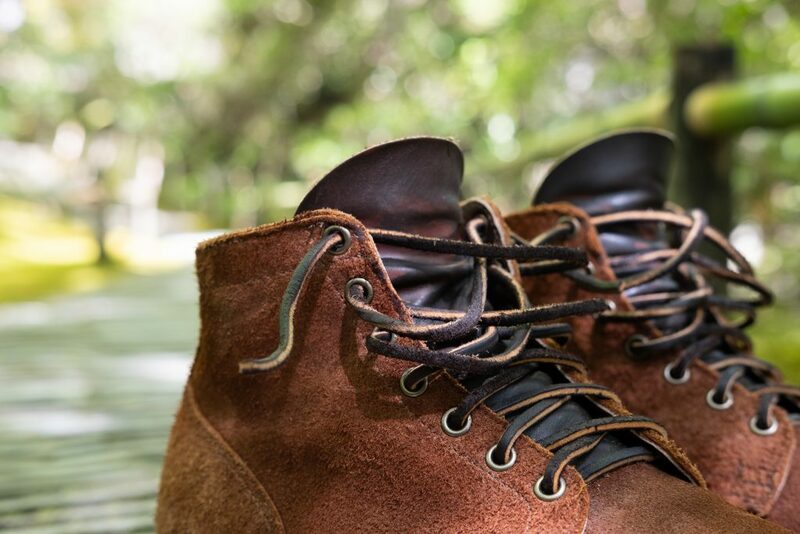 However with so many other Aged Bark Roughouts out in the wild, we wanted to give it an extra kick in style and opted for a contrast tongue to break-up the overall look of the boot. The Brown Oil Tan leather tongue provided that additional contrast that we were looking for, and we love how it turned out; it brings out the texture and color of the roughout that much more, and adds an additional layer of complexity to this classic boot. 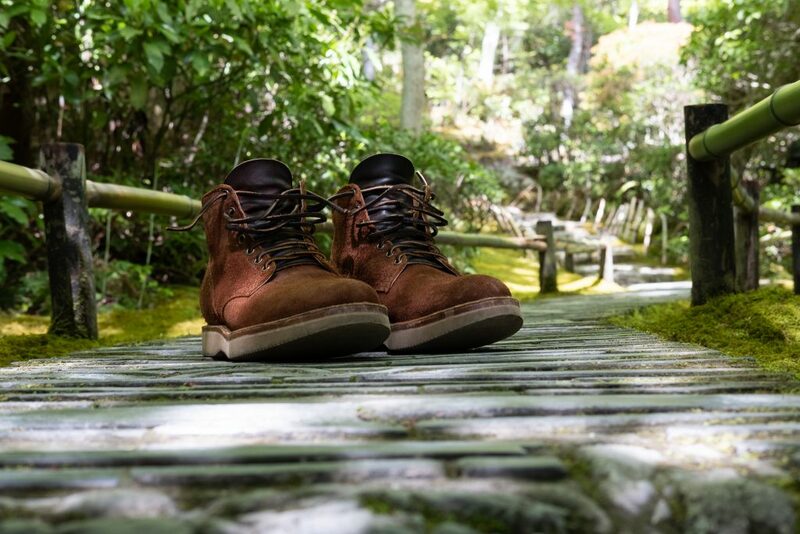 As I have discovered wearing this boot for two weeks straight in Taiwan and Japan (where these pictures were taken), the brown leather tongue gets a nice patina from the abrasion of the rawhide leather laces rubbing against it – just another small detail that we love about this boot. And because we have much love for those with wider feet, we opted for the 1035 last to accommodate more folks. With E width feet, the additional space in the toe-box really makes a difference in comfort. When I was thinking of what we wanted the story to be behind this first make-up, I was thinking – well worn, well loved. The Withered Fig journey has always been about stories and inspirations. What better way to tell a story than by having a pair of boots that you’ll put to good use and wear as often as any other boot you currently own. From it’s casual aesthetic, to the durable leather, to the subtle design choices we made to separate this pair from the ones that came before, we’re hopeful this one will become a classic pair that folks will journey with for years to come. The last part of this – and one of the highlights of designing the pair – was working with Nate and Mike, both of which I had the opportunity to meet last year – Nate in Los Angeles and Mike in NYC (fittingly during the Viberg Sample Sale). Nate and Mike both have their unique sense of style, and I knew they’d have some killer ideas to mash together for our first Viberg make-up. After a few exchanges, we were pretty quick to settle in on this make-up – with none of us having owned a pair in Aged Bark Roughout – and only making some minor tweaks along the way. 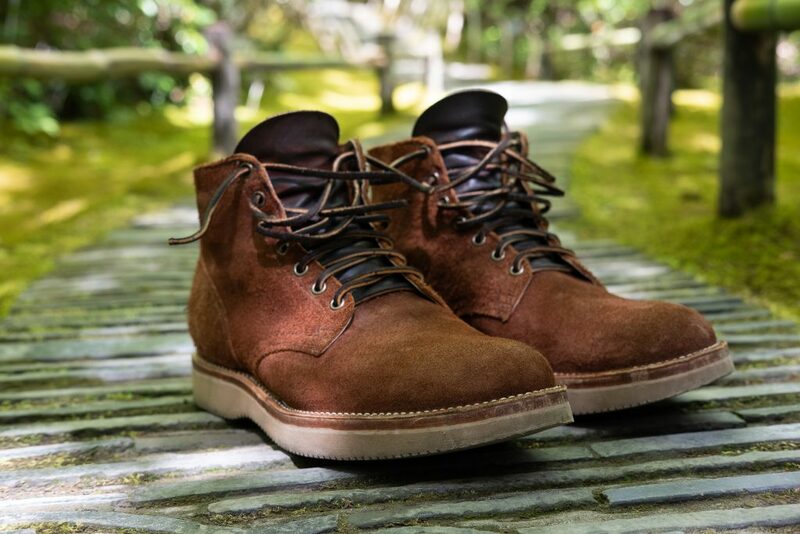 When Richard presented the opportunity to help design a Viberg boot for Withered Fig, I was both overwhelmed and excited given all the leather and customizations available. For Withered Fig’s first iteration, I wanted a boot that was both comfortable without sacrificing visual appeal, and my answer was the 1035 last with the Vibram 2060 sole. The plain toe design is more appealing for casual wear for me, and really allows the aged bark rough-out shaggy nap come through. 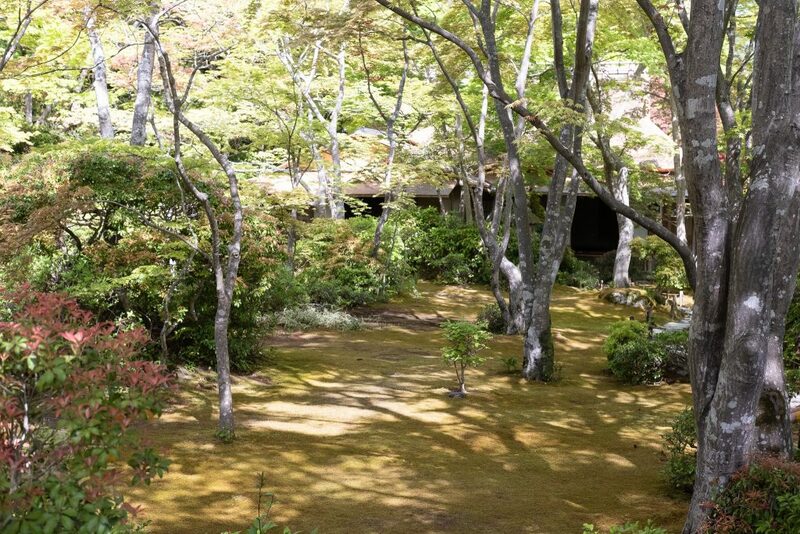 The contrasted tongue for me is more visually interesting, and contrasts the aged bark color. Break-in is minimal, and plays nicely with the Sand Vibram sole, which provides more shock absorption compared to Dainite. Paired with raw leather laces, the overall combination plays very well with denim and all of my casual trousers. When we were designing the Vibergs for Withered Fig, Richard, Mike and I wanted to create a classic rugged looking boot with subtle differences. I am a huge fan of textures. The Aged Bark Rough-out leather was the perfect choice for this boot. 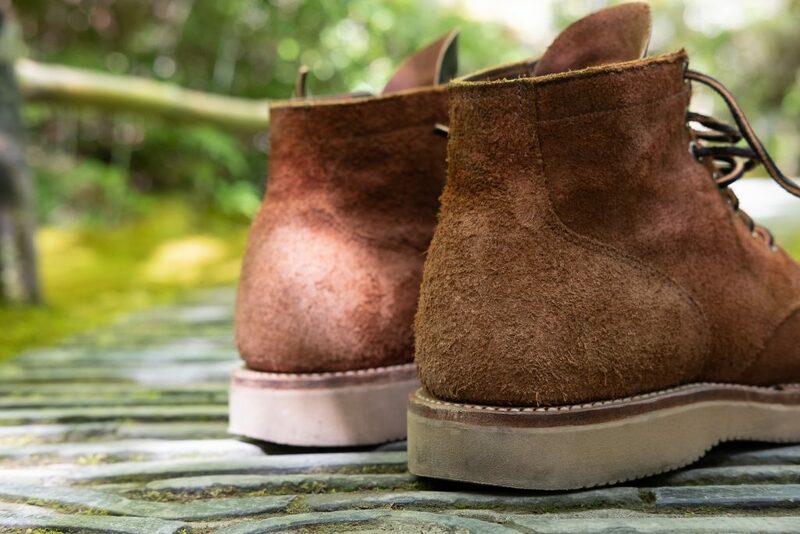 It combines the durability and thickness of leather with the cool hairy texture look of suede. Instead of the usual Dainite Sole option, we opted for the Vibram 2060 sole to give the boot a more beefier look. The brown oil tan tongue provided a strong contrast that was nicely pulled together with the leather laces. As many of you reading this can attest to, one of the best parts about being on Instagram is meeting the other folks in the denim community. This make-up is certainly our first make-up for Withered Fig, but it also is the story of how three dudes randomly met and came together over the course of a year, all because we geek out about denim and boots. And now? We’ve got a pretty slick Service Boot that checks all the boxes of what we were looking for in an everyday boot. Thanks to Nate and Mike for being a part of the Withered Fig story. Releasing Friday, May 4th at 10am EST on the Withered Fig. For sizing information, we’ve updated our Measuring Guide with additional information on boot sizing. Also, check the product page for the boots where we provide reference sizing information by clicking on the Size Chart tab. Introducing, Viberg for Withered Fig. 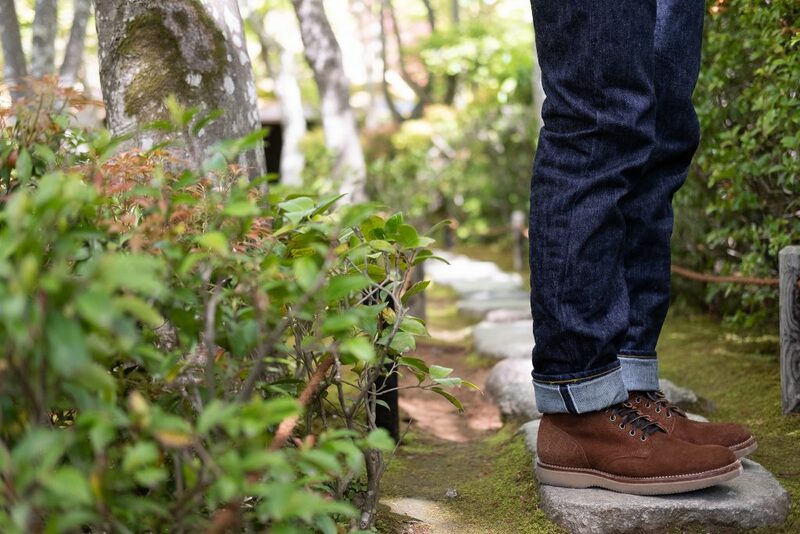 See the “Day in the Life” video for the Viberg Service Boots on this blog post.